Findability of documents is always an issue. In Office 365 we can solve this with automating metadata tagging. A great “Enterprise-y” solution has been metadata tagging! 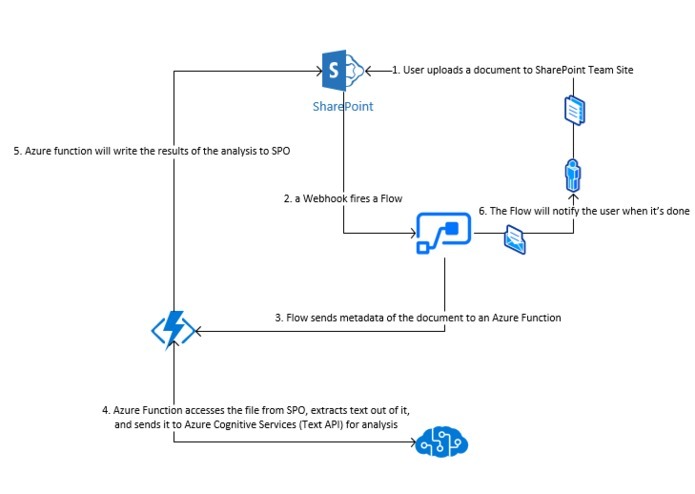 Using Azure Functions and Cognitive Services Text API to enrich a Flow that fills Metadata for new items in a Modern SharePoint Team Site. PERFECT! Using Azure Cognitive Services we can fill the metadata fields automatically – without any user interaction at all! Automates metadata tagging for SharePoint Online. Finally, notifies admin of the execution and the creator of the file. 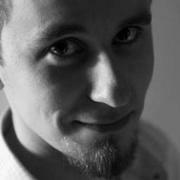 Using Visual Studio 2017, but you could do everything in VSCode, too. Extracting text from a PDF sometimes returned a lot of headers / metadata and was scrambled - had to work around that. Sanitizing the text from a PDF is not straightforward, but I think it works decently. Also, this was based on a topics extraction tool I made for a PoC a while back, and Microsoft has completely changed the API since then, so learning the new API was rewarding. 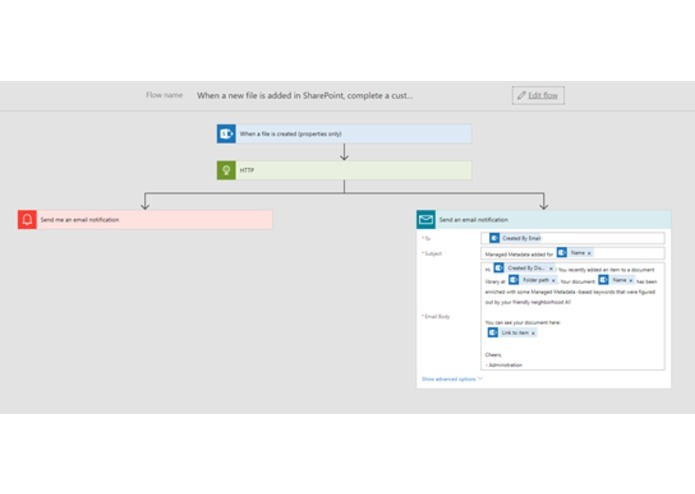 Also, it's fun to see how well the Azure Function + Flow + SPO -integration works! Refactoring it to be either easily deployed to whatever environment using PowerShell, or making it a multi-tenant solution.